Very effective in the fight against ageing, dermal fillers are playing an ever-increasing role in the global aesthetic and cosmetic treatment sector. And clinics like Platinum Face and Body Clinic near Wollongong, NSW, are finding that more and more Australians are following this global trend aimed at boosting the body’s own anti-ageing treatment mechanisms, which become less effective as the years go by. While injectables of various sorts have become increasingly popular as an alternative to cosmetic surgery in the past few years, not all work the same way, deal with the same bodily systems or contain the same ingredients. The first major players in the field were based on botulin toxin and were used to relax specific facial muscles temporarily, lessening the wrinkles caused by emotions like laughing, frowning and crying. Dermal fillers, on the other hand, don’t target the muscles, rather going for plumping and adding volume in order to soften the wrinkled and sagging effects of ageing. Instead of addressing the roadmaps left by our emotions, like frown and laugh lines, these look at the ones that don’t go away, even when the face is relaxed. These include sunken cheeks and temples, and the deep lines that run down from the sides of the nose to the chin. Fillers are also used for plumping up the lips and lessening the unattractive vertical lines that crease them. Dermal fillers contain hyaluronic acid. This acid is used by the body to bind water for joint lubrication and to create a moisture cushion to absorb shock. But it also boosts the production of collagen and stimulates collagen’s bonding with another protein, elastin, which serves as its partner in the fight for skin health. All three (TA, collagen and elastin) are produced in sufficient quantities by the body in the earlier years of life, but natural production and supply dwindle with age. Dermal filler treatment is simple and quick and requires nothing more than a topical anaesthetic to deal with any pain experienced during the injections. There’s very little downtime, and the effects of a single treatment can last anywhere from 6 to 24 months, depending on the individual. Along with the rise in popularity of dermal fillers as an aesthetic treatment, have come some questions about its safety and its side-effects. Some of these have been attributed to limited regulation regarding the equipment and products used, and the practitioners providing treatment in some parts of the world. Platinum owners and operators Jacinda McKay and Shelley Stevens, a registered and cosmetic nursing specialist, pride themselves on the safety and quality of its medical-grade aesthetic treatments and ensure all equipment, treatment products and injectables which are registered with the Australian Register of Therapeutic Goods. However, they stress the importance of a medical history in pre-treatment consultations with their clients; and discuss any concerns the histories raise. They also warn clients that fillers should not be used on inflamed skin or areas where there is (or has been) any sort of skin disease; or in instances where the immune system has been compromised either by a medical condition or because of immunosuppressive therapy. 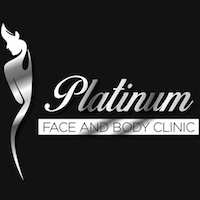 To find out more about Platinum Face and Body Clinic’s services, reach Shelley or co-owner Jacinda and their experienced team by calling +61 2 4200 9468 or visit the Non-Surgical, Medical Grade Aesthetic Treatments For The Face and Body | Platinum Face and Body Clinic website to book a consultation online.